Bicycle riding has become increasingly popular in recent years, largely in response to the increasing cost of gasoline and the country’s overall renewed focus on “green” or healthy living. While riding a bike can be an excellent mode of transportation or a great way to get exercise, it does pose the risk of serious injury when bicycles are involved in accidents with cars. Bike accident victims, like car accident victims, can seek compensation from the at fault driver. However, unique issues will be involved in any bike accident case. Texas law states that bicyclists have the same rights and duties as other motor vehicle operators. This means that in a case involving a collision between a bicycle and a car, an analysis of liability will be conducted to determine whether the bicyclist was following the rules of the road. The insurance company of the “at fault” driver will be responsible for the damages to the victim. Possible damages could include compensation for medical expenses, lost wages, pain and suffering, and more. Given the severity of many bicycle accidents, accident victims will require an attorney who will aggressively pursue the compensation to which they are entitled. Bicycle accidents can inflict serious injuries upon bike accident victims, including broken bones, head trauma, and damage to internal organs. Those injured in a bike accident will require the representation of any experienced bike accident attorney who understands the unique issues involved in these cases. The Texas Bicycle Accident Attorneys at Zinda Law Group have assisted countless bike accident victims across the state. At Zinda Law Group, we will gather evidence to ensure you bring the strongest possible case to achieve the results you desire. 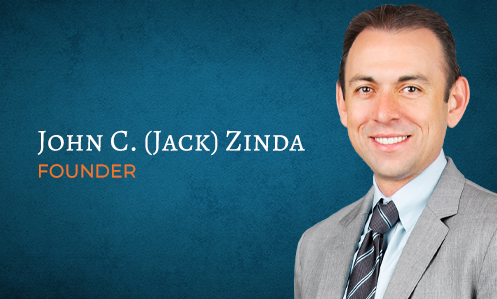 To schedule your free consultation with one of our experienced Austin Personal Injury attorneys, call Zinda Law Group toll free at 1 (800) 863-5312.